Operating the WTC crane 91 stories up! Eleven years after terrorist attacks destroyed New York's World Trade Center, the replacement towers are finally taking shape and attracting new tenants -- even though most of the site's buildings are still under construction. The most prominent -- the tower known as 1 WTC - is scheduled for completion in 2014, with 90 floors and 3 million square feet. "It's going to be the tallest building in the Western Hemisphere," said Port Authority spokeswoman Jackie Yodashkin, who says 55% of the 3 million square feet has been leased. Owned by the Port Authority of New York & New Jersey, the flagship tower will house the global headquarters of media company Condé Nast, which will occupy over a third of the building. It will also be home to the General Services Administration, a federal agency, and the Vantone China Center, a liaison for U.S. and Chinese businesses. Reconstruction on the 16-acre site began in November 2002, more than a year after the World Trade Center towers were destroyed in a terrorist attack on Sept. 11, 2001. The one fully completed building, the 52-story 7 WTC, has leased 100% of its 1.7 million square feet, according to Dara McQuillan, spokesman for owner Silverstein Properties. The building officially opened in May 2006 and signed its final two leases last year. "It's what you would call a home run in professional real estate speak," said Dan Fasulo, managing director for Real Capital Analytics, a commercial real estate research firm. "Larry [Silverstein, the property's developer] was able to complete a world-class building in a very short amount of time, and was able to rent out the building for what a lot of people didn't think was possible." Silverstein Properties owns three other buildings at the World Trade Center site. It has leased 50% of 4 WTC's 2.3 million square feet, according to McQuillan, even though the 72-story building isn't scheduled to open until the fall of 2013. Meanwhile, construction is halted on 2 and 3 WTC until more tenants commit to the space, according to McQuillan. 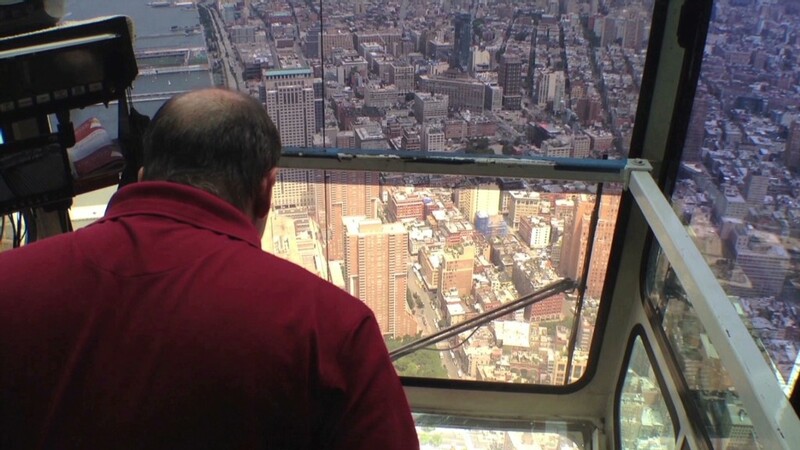 The top floors in the World Trade Center towers are renting for $75 to $80 per square foot, according to the buildings' owners. Jonathan Miller, chief executive officer of real estate consultant firm Miller Samuel, said the price per square foot of the WTC buildings is consistent with midtown Manhattan prices, which he called an "impressive" achievement. "Who would have thought they could be getting those types of numbers after the tragedy occurred?" said Miller. "[Construction] took a lot longer than anybody possibly imagined, but once it got going, the [leases] have been successful." It took years for construction to start at what was known as Ground Zero, and the planning process for reconstruction was stymied by disputes over architectural design and insurance payouts. Real Capital's Fasulo said getting a prominent company like Condé Nast to sign a lease for 1 WTC was "like a stamp of approval" in attracting other companies to the complex. He said the new World Trade Center buildings should have little trouble securing tenants for their yet-to-be-completed office space. Fasulo said that since more than half of Manhattan's office buildings are over 50 years old, they lack the energy efficiency that many companies now require. "It's unique for tenants to occupy a 21st-century building in New York, and tenants will pay for that pleasure," he said. "The top floors will command $100 per foot eventually." The original World Trade Center complex was dominated by its twin towers, which briefly held the record for being the tallest buildings in the world when they were completed in 1973.